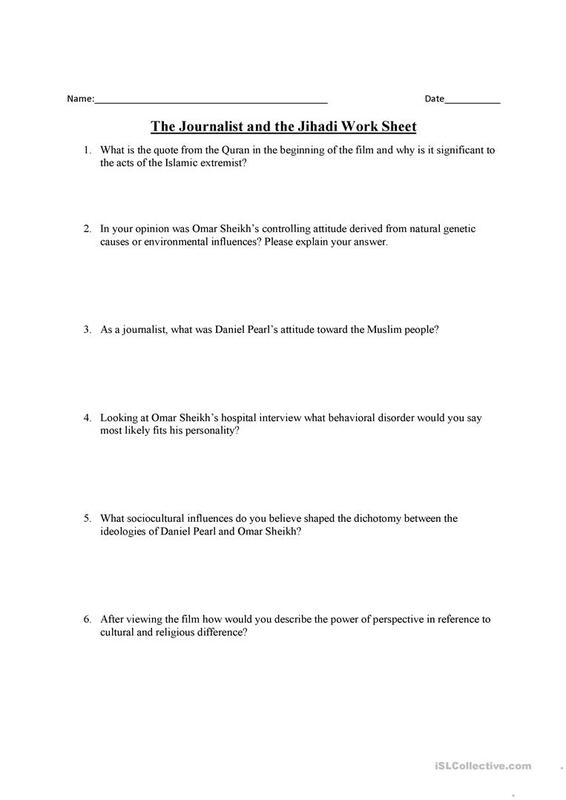 A worksheet to accompany the HBO special documentary of the death of Daniel Pearl. The present printable, downloadable handout is meant for high school students and adults at Intermediate (B1), Upper-intermediate (B2) and Advanced (C1) level. It is excellent for enhancing your class' Listening, Spelling and Writing skills. jarrodbowen is from/lives in United States and has been a member of iSLCollective since 2011-10-12 21:33:28. jarrodbowen last logged in on 2011-10-12 21:33:29, and has shared 1 resources on iSLCollective so far.